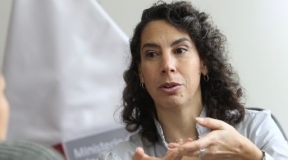 The Chicago Council on Global Affairs announced that economist Carolina Trivelli, Peru’s first Minister of Social Development and Inclusion, has been awarded the Council’s 2016 Gus Hart Visiting Fellowship. Trivelli is being honored for her dedication to financial inclusion, rural development and social policy in Peru. Trivelli led the creation of Peru’s Ministry of Social Development and Inclusion and served as its first minister from 2011 to 2013. 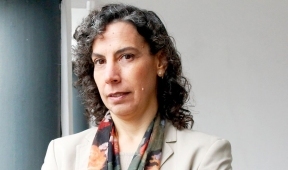 She currently serves as senior researcher at the Instituto de Estudios Peruanos and as president of the board of Pagos Digitales Peruanos, a company developing Peru’s national e-money platform and enabling groups traditionally left out of the financial system to join the formal economy. Through the fellowship, which honors Latin American leaders contributing to the advancement of their society, Trivelli will visit Chicago Oct. 11-14 to meet with Chicago’s civic, business and cultural leaders, culminating in her delivery of the annual Gus Hart lecture Oct. 13. Carolina Trivelli holds a master’s in agricultural economics from Pennsylvania State and a bachelor’s in social science, majoring in economics, from the Pontifical Catholic University of Peru.